Welcome to the DuPage chapter of PFLAG! Check back in regularly for updates, visit our special events page, and use the link below to subscribe to our posts. You may be a parent, family member or friend of someone who is gay, lesbian, bi-sexual, transgender or questioning. You may be an LGBTQ person in the process of coming out and dealing with family, workplace, or social issues related to your sexual identity. Whatever your situation, you’ll find support, information, acceptance, and friendship at PFLAG DuPage. Please join us at our monthly meetings. It may change your life. It changed ours. 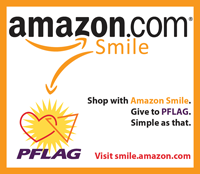 PFLAG DuPage reaches out to organizations of all kinds - schools, churches, libraries, social services, health & wellness organizations - to help people understand the issues of sexual orientation and gender identity. 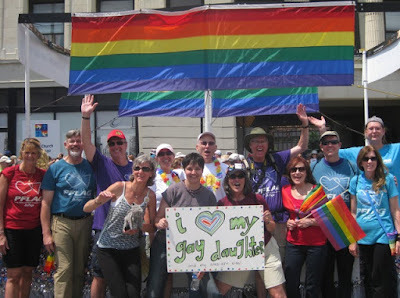 Likewise PFLAG DuPage relies upon like organizations to help us keep abreast of the latest information available for LGBTQ issues. If your organization would be interested in having a PFLAG DuPage member attend or support an event, or if someone in your organization is available to be a guest speaker at our meetings or otherwise support our cause, please contact us. Everyone is welcome at our monthly support and education meetings. Our meetings are at 2pm the third Sunday of each month at St Paul Lutheran Church in Wheaton IL. Share book reviews and ratings with Pflagnorthernillinois, and even join a book club on Goodreads.